Tomorrow With You is our new binge-watching obsession! It’s no secret that we at Preview HQ have been badly hit by the K-drama fever. 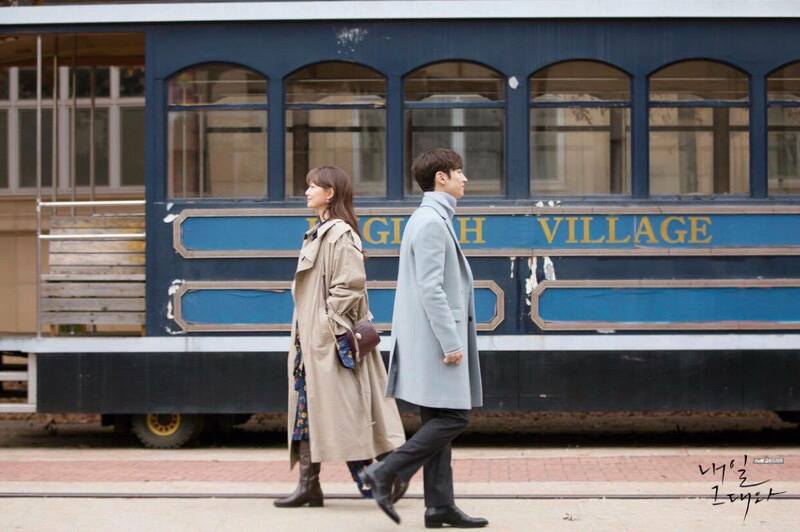 Luckily, as we were struggling to move on from our favorite fantasy dramas such as Goblin and Legend of the Blue Sea, tvN has gifted us with a brand new TV obsession to binge-watch: Tomorrow With You, starring Korean cutie Lee Je Hoon and the ever so adorable Shin Min Ah from Oh My Venus, is the best rebound that a longing heart could ever wish for. Four episodes in, and we’re already hooked! Not to spoil anything, the story revolves around a billionaire time traveler who got himself into a marriage to avoid his miserable fate. Naturally, that plot alone is enough to keep us glued to our screens, but tbh, it’s the lead actress who got us falling for this K-drama hook, line, and sinker. Apart from the obvious fact that Shin Min Ah’s glowing skin blows most of us out of the water, her no-nonsense style in this series will also keep you begging for one episode after another. Check out some of her cutest outfits below. Shin Min Ah’s character, Song Ma Rin, is a photographer whose style is very playful with a sweet, quirky flair to it. Her outfit in the second episode, a red polka dot blouse and a long denim skirt with suspenders, speaks volumes about her bubbly personality. Statement tops? Check! 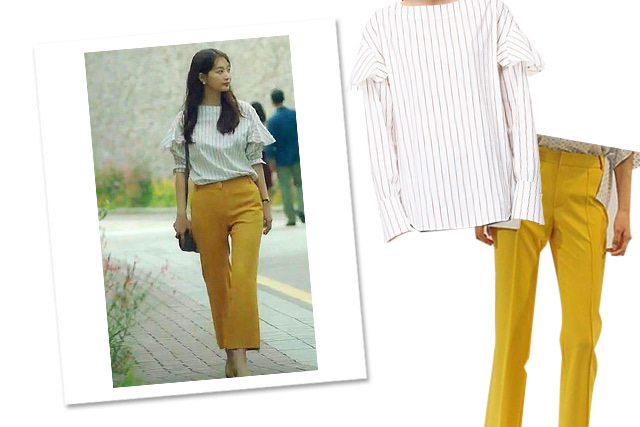 She sealed the deal by pairing it with yellow trousers for a pop of color. Denim, a staple in her wardrobe, adds a laid-back vibe to her usually eclectic mix of pieces. Do you see that front button denim dress? 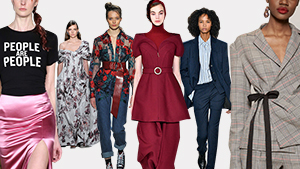 There is nothing boring about this look, we tell you! Bandanas are officially chic again! Up the ante of your blue jeans and white t-shirt combo by tying a silk scarf around your neck a la Shin Min Ah. Did anyone say Pale Dogwood? Count this Korean actress in! Her oversized trench coat that made its fleeting appearance in episode two gives us a bucket load of new reasons to hoard pink this season.